Facing a firestorm of criticism, Sen. Bob Corker, R-Tenn., sent a letter Sunday night to Senate Finance Committee Chair Orrin Hatch, R-Utah, asking how the final tax bill ended up including a special tax cut provision experts say would particularly benefit investors in real-estate related LLCs. The letter follows an International Business Times investigative series showing that Corker, President Donald Trump, House Speaker Paul Ryan and a handful of key GOP lawmakers overseeing the tax bill have multimillion-dollar ownership stakes in such LLCs, meaning they could be personally enriched by the provision, which was added to the final tax legislation released on Friday. Under fire for switching his position after a personally lucrative provision was added to the legislation, Corker demanded to know how the language got into the final bill. Corker is not a member of the Senate Finance Committee that wrote the bill, and he was not one of the Senate conferees who negotiated the final bill with House counterparts. In his letter, Corker said Republican aides insisted to him that the provision was not new -- an assertion that drew a swift rebuke from experts who have been tracking the legislation. “This new language can't be found in either the House-passed or Senate-passed bills,” said Matt Gardner of the Institute on Taxation and Economic Policy, which has opposed the legislation. 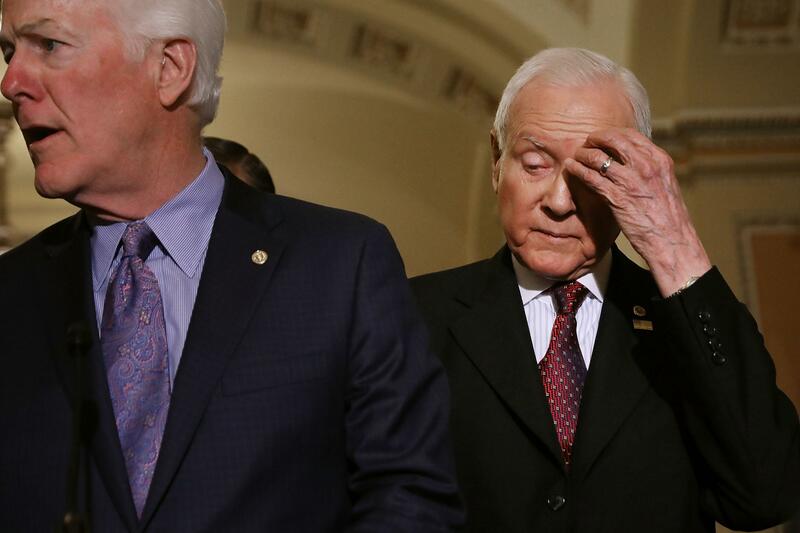 “Someone on the conference committee decided, behind closed doors, that neither the House nor the Senate bill gave a big enough tax break to businesses with few employees and lots of assets. We can't know that the unknown author of this amendment had real estate investors like Senator Corker, or President Trump, in mind when this egregious giveaway was added to the bill, but it's hard to see another obvious explanation." At issue is so-called “pass-through” income generated by entities such as LLCs, partnerships and S-corporations which don’t pay corporate taxes. Since reducing the tax burden on businesses has been a central tenet of the Republican tax reform effort, House and Senate Republicans passed bills that would both reduce the corporate tax rate and give a new tax break to pass-through businesses. The House version of the tax bill included a sweeping tax cut for income from such entities, imposing a 25 percent cap on the taxation of pass-through income. 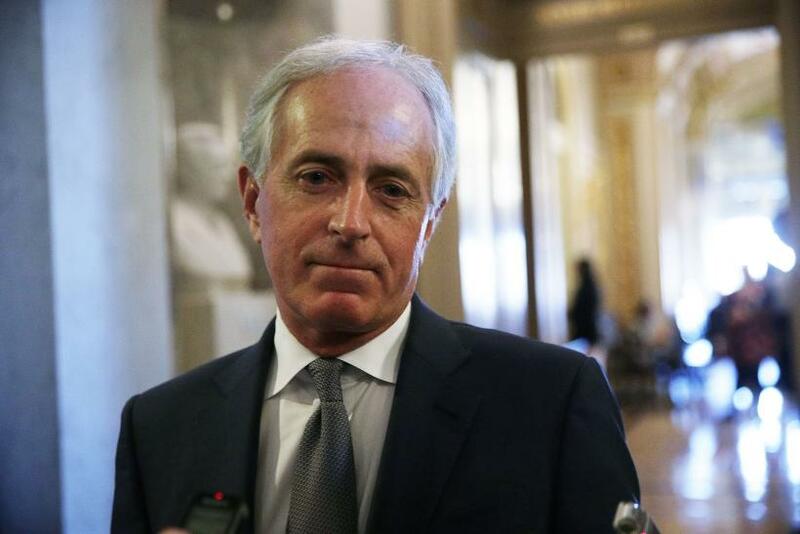 The Senate bill that Corker voted against, however, used a 23 percent deduction to reduce levies on pass-through businesses. The Senate bill also included language designed to prevent the tax cut from being utilized by pass-through entities which do not pay wages -- a provision which Congressional Republicans say helps ensure that this particular form of tax relief goes to job creators. But in the conference committee that drafted the final reconciled bill, negotiators created a novel provision that was not in the House or Senate bills. They adopted the Senate framework of the bill, including its restrictions, but crafted special new language to allow partnerships with depreciable assets that pay little or no wages to still take advantage of the bill’s 20 percent deduction on pass-through income. It is unclear which legislator added the provision to the final conference report. “Left to my own accord, we would have reached bipartisan consensus on legislation that avoided any chance of adding to the deficit and far less would have been done on the individual side with items that do not generate economic growth,” Corker said in a statement. “But after great thought and consideration, I believe that this once-in-a-generation opportunity to make U.S. businesses domestically more productive and internationally more competitive is one we should not miss. Corker is under intense pressure: since reversing himself and announcing he would support the bill, he has faced a wave of outrage — including the Twitter hashtag #CorkerKickback — for switching his vote. In his letter, Corker suggested the provision was not a new last-minute addition to the final bill, as IBT reported, but instead an extension of the House-passed tax bill. “My understanding from talking to leadership staff today is that a version of this provision was always in the House bill — from the Ways & Means markup, through House floor consideration — and in reconciling the divergent House and Senate approaches to pass-through businesses this House approach stayed in the final conferenced version,” he wrote. That characterization was disputed by experts contacted by IBT. David Kamin, a New York University law professor and former special assistant to the president on economic policy, said the final bill did create a new provision — one that would specifically benefit real-estate-related LLCs.